Plans for a themed Town Day to tie in with the anniversaries Haywards Heath is celebrating this year were announced at the Annual Town Meeting on Monday night. More than 30 residents attended the meeting at the Town Hall to hear about the council’s priorities for the year to ‘grow the town from a business and environmental point of view’. A spokesman for Haywards Heath Town Council said: “There was great praise from residents for the work of the town council, in particular for councillor Ruth de Mierre for all the work she does for the town and charities, including One Great Day at the Orchards and for all the work the town council staff do in putting on events for the town including the Town Day, Spring Festival and Remembrance Sunday. 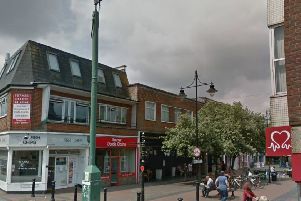 “Key messages were that work is progressing in line with the Neighbourhood Plan in terms of making Haywards Heath a great place to live, greener and more attractive to businesses and residents alike, and to increase the safety of the town by the appointment and ongoing work of the community warden. “Councillor Sandy Ellis also received thanks from the residents for all the hard work she does in helping make the town a greener and more environmentally friendly place to live through her work as chairman of the Haywards Heath In Bloom committee and her instigation of the community litter picks around the town. “The town council was also delighted to announce plans for a themed Town Day this year to tie in with all the amazing anniversaries we are celebrating this year, 100 years since the formation of the RAF, the centenary of WW1 and the laying of the VC Winners Stones.